Are Your Paper Dolls Bored? 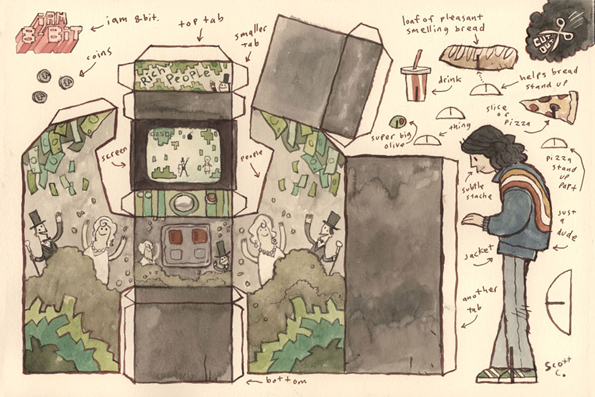 Build Them an Arcade! Paper dolls are kind of getting a comeback thanks to etsy and the whole handmade movement. There are paper dolls of the Bluth family, as well as pop stars like Adele, Lady Gaga and Beyonce. But what are your paper dolls supposed to do all day, other than the whole get dressed, change, get dressed routine? 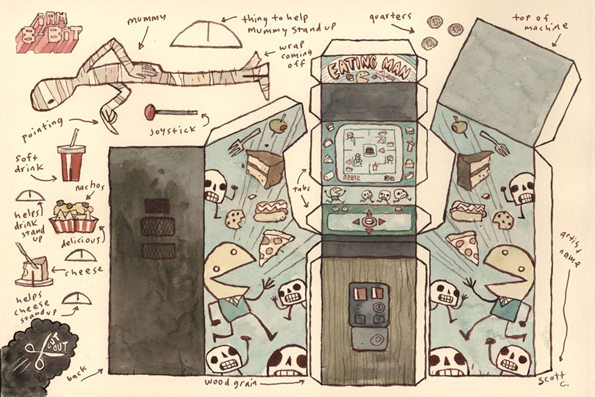 Well thanks to illustrator Scott Campbell (or Scott C) they can play arcade games. 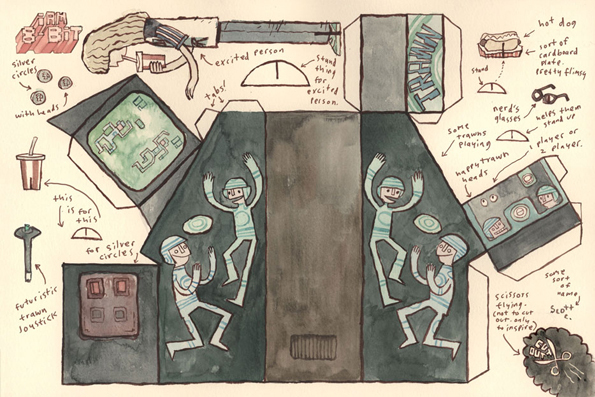 He create templates for spoof games like Eating Man, TRAWN, and Rich People. He even included accessories like quarters, soda and snacks. 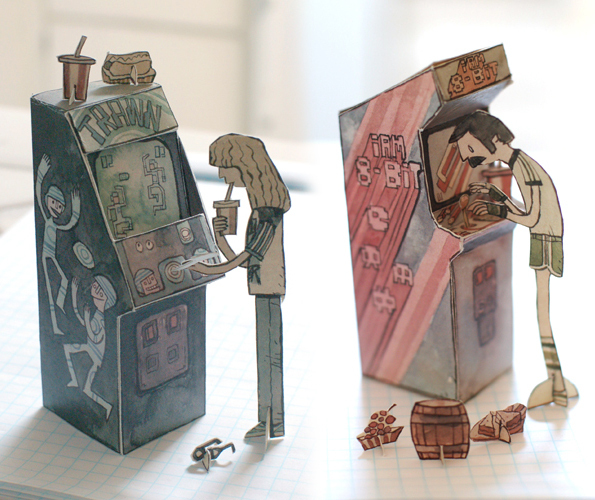 These papercraft arcades would also make great accessories for your non-paper toys too!